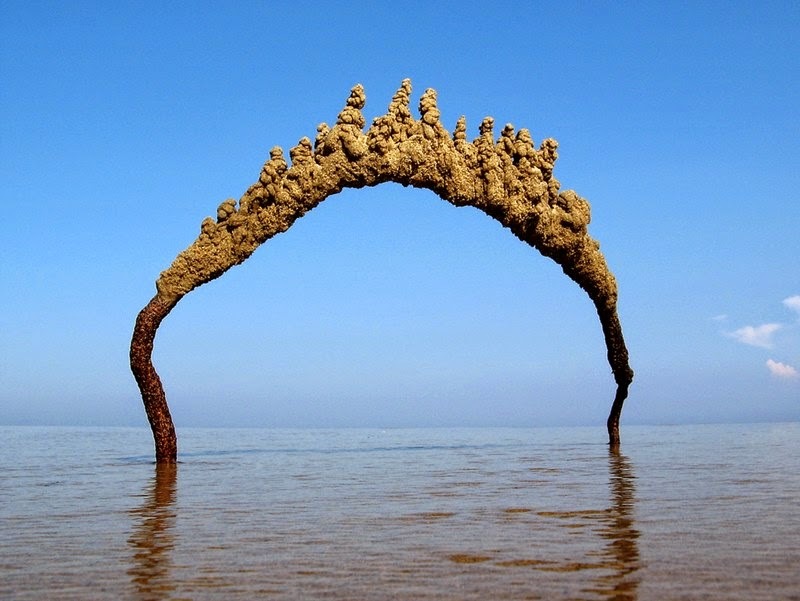 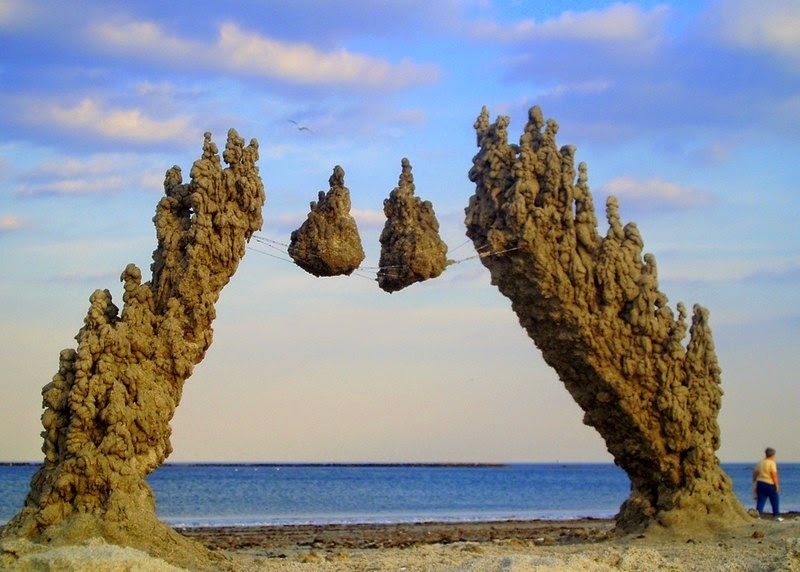 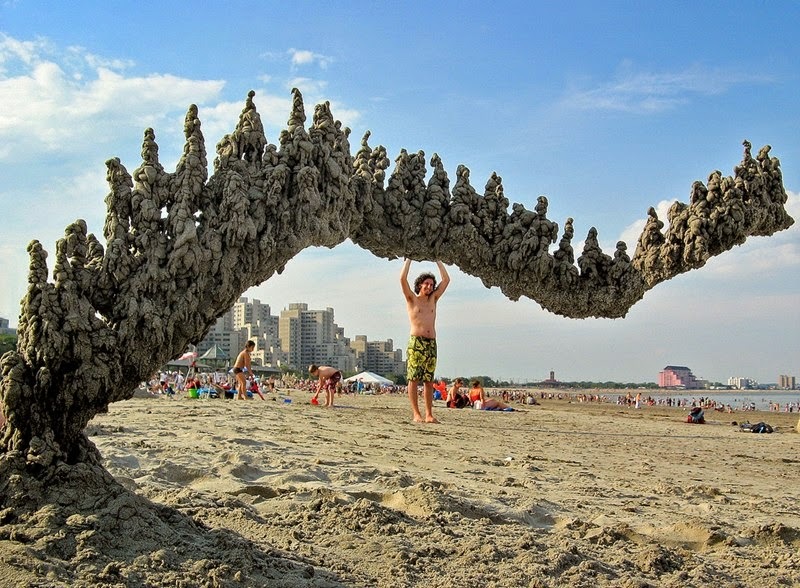 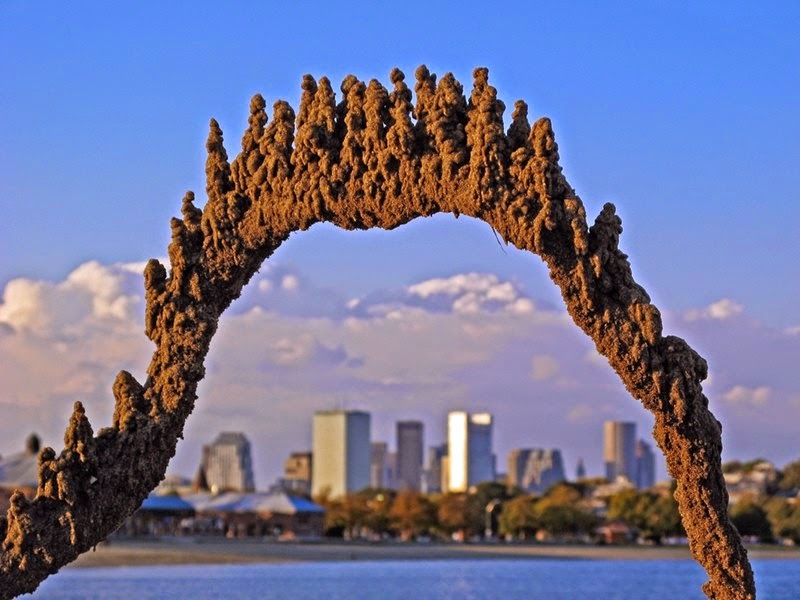 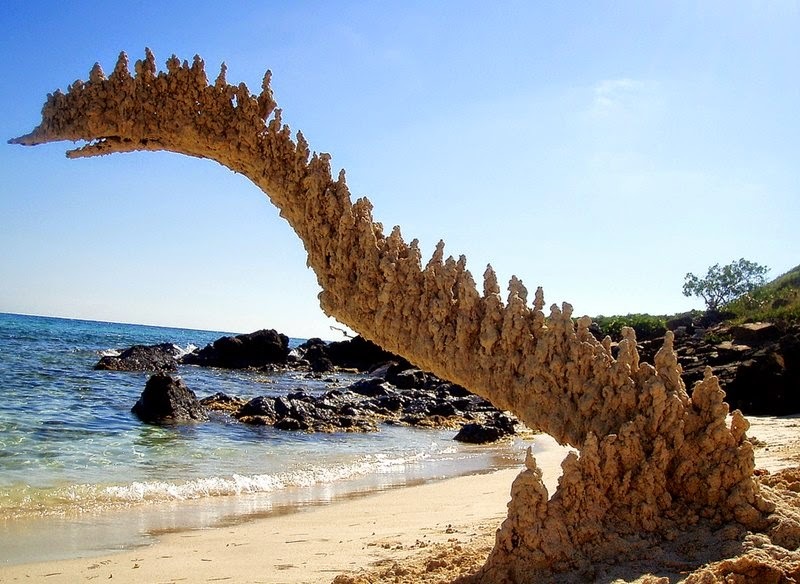 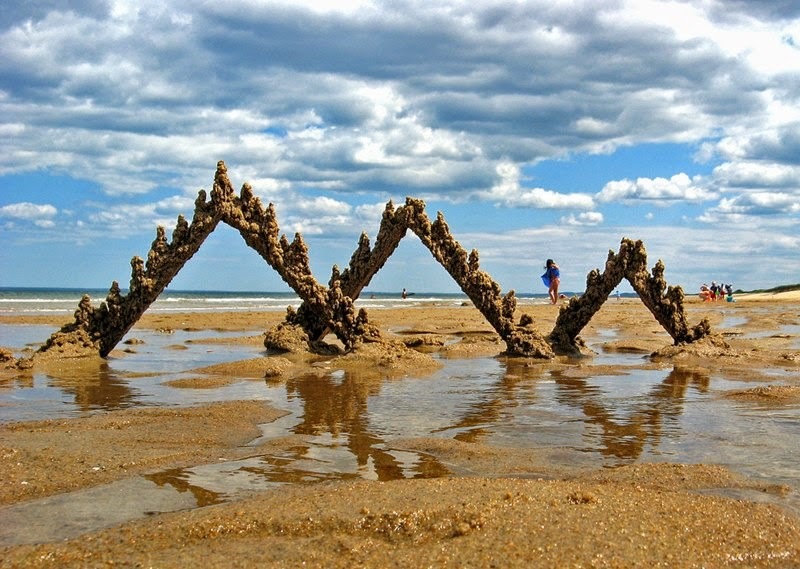 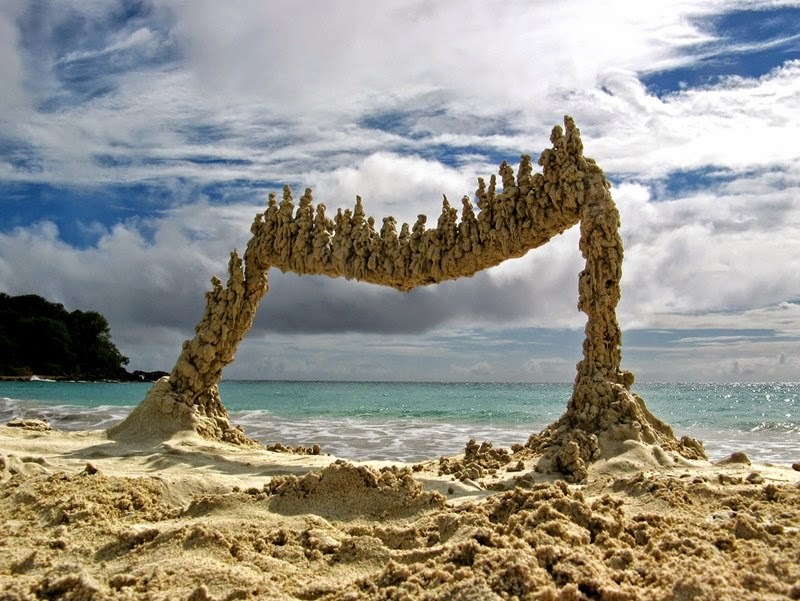 Hey these are not the homes of mutant sea creatures or geographic oddities forged from centuries of tidal currents, they’re sand art or sandcastles built by a Massachusetts man who goes by Sandcastlematt. 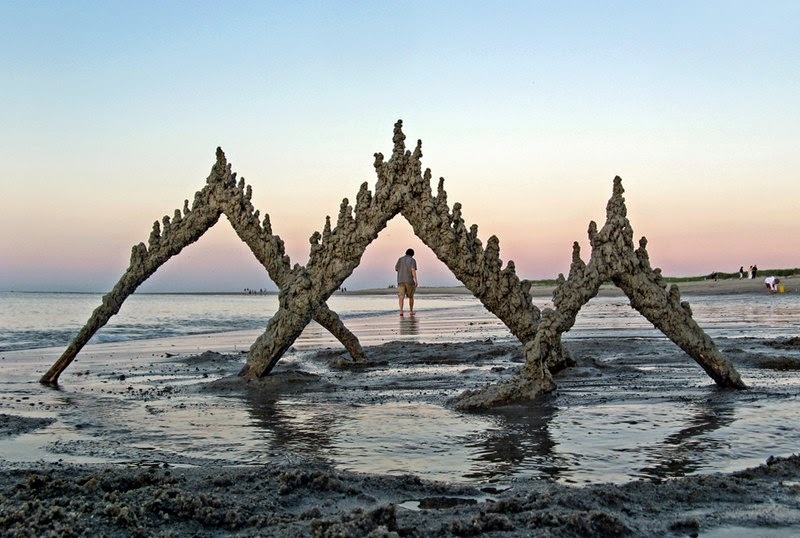 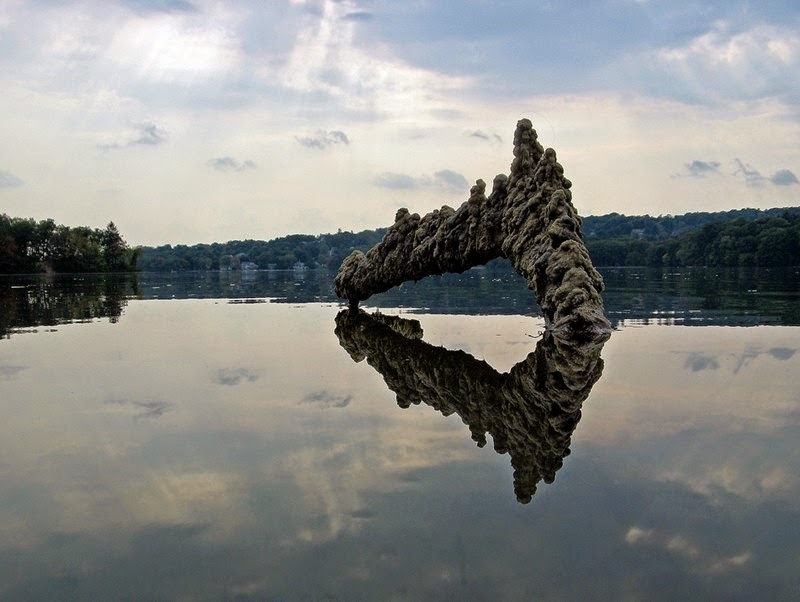 Using found objects like vines, plywood, and other junk he creates a sturdy framework to which he applies the classic drip method sandcastle technique resulting in these strange temorary structures that look like contemporary land art pieces. 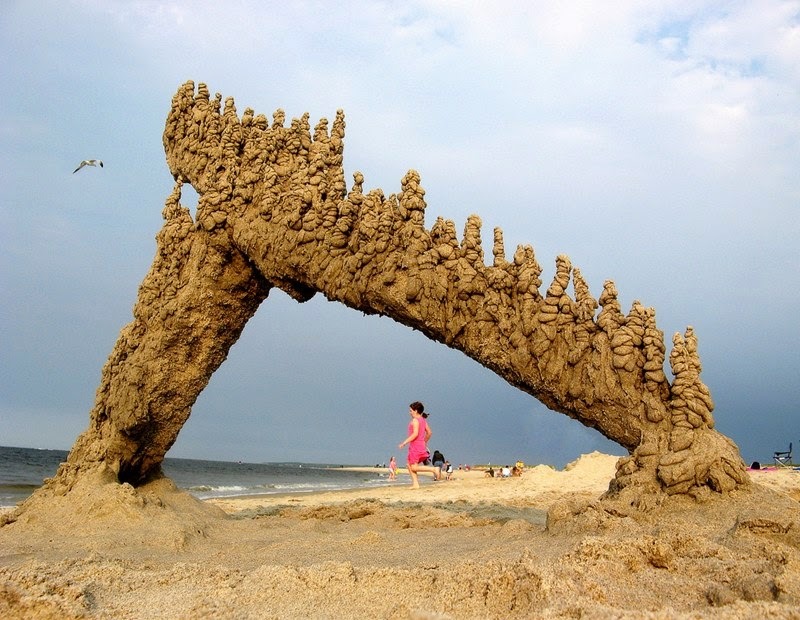 One of Matt’s sandcastles recently made the rounds in a viral meme suggesting his work was the result of lightning striking sand, but Scientific American debunked it.